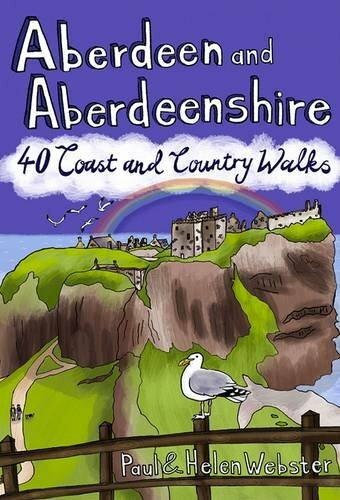 The City of Aberdeen and its neighbouring coast and inland countryside boasts a vast array of walking opportunities, including many less visited gems. The city itself reveals a different aspect when explored on foot, leaving time to examine buildings and sculptures usually hurried past. With so much of the county facing the North Sea, the coast provides a handsome selection of routes taking in sandy dunes, rugged cliffs and natural arches, ruined castles and endless wildlife-watching spots. Inland, the fertile rolling farmland provides a gentle introduction to the foothills of the Cairngorms where heather moorland and rocky granite tors provide spectacular views over the whole county.This guide features 40 shorter walks exploring the city, market towns, coastal villages, woods, cliffs and moors which make this area so diverse and rewarding for the walker.